Candice is unique to Umbrella Heaven. 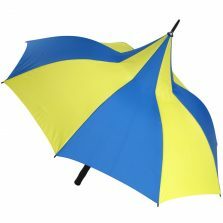 A true British designed umbrella. 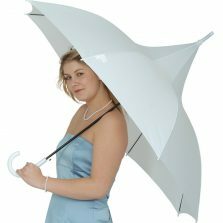 If you want a stylish umbrella that you can rely on to turn heads and protect you from the rain then choose the Candice. Candice Stylish Umbrella – Pink and Black Pagoda – Automatic and Windproof! 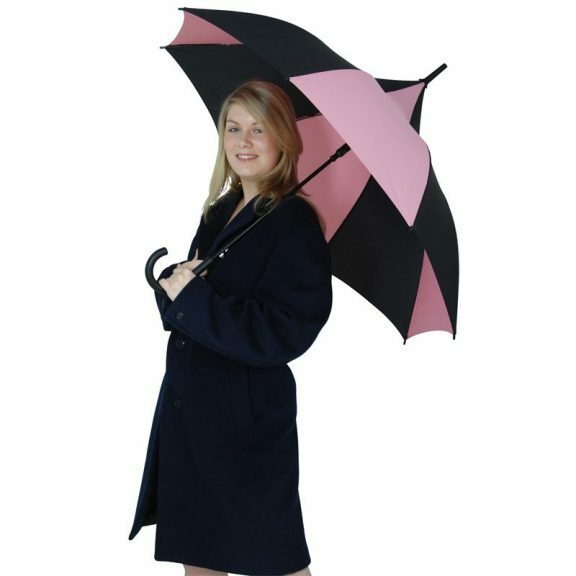 This stylish umbrella is our “Candice”, a stunning automatic opening ladies black and pink pagoda style windproof umbrella. What a striking contrast – alternating pink and black panels! These stylish fashionable windproof umbrellas are pure quality. As well as this, their vivid, colour scheme, will definitely turn heads. When you compare other so-called fashion umbrellas with the Candice, you will see why we use the phrase… style with a touch of class. 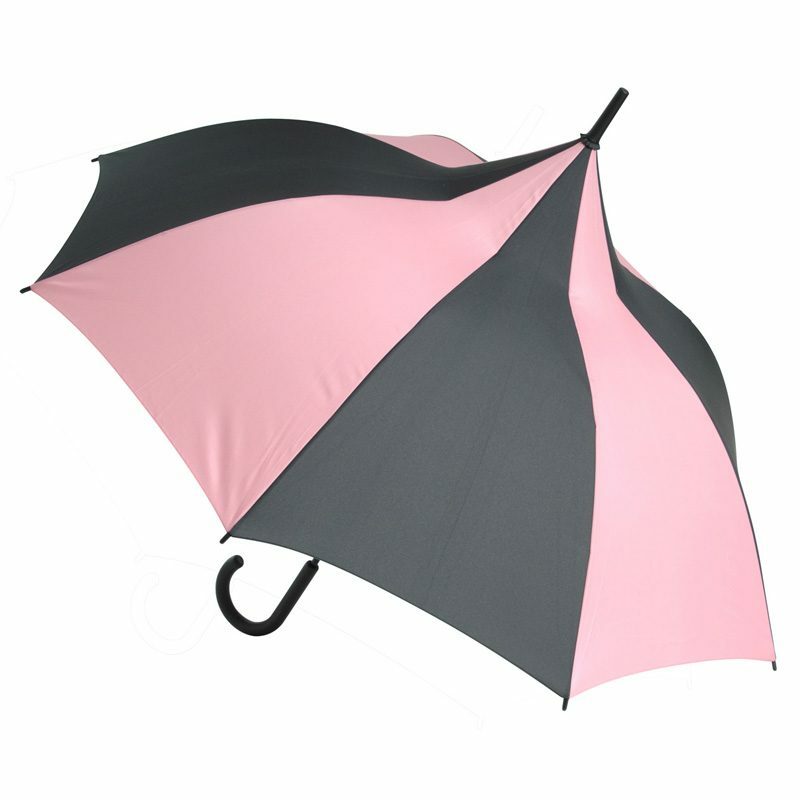 Candice is a pink and black panelled pagoda fashion windproof umbrella designed by Rob McAlister himself. A veritable design sensation, Candice is wind resistant, automatic and has a smart comfy jet black crook handle. It has a black steel shaft with matching dual steel frames and hinged, two piece fibreglass ribs. Comes with a funky push button auto-open mechanism, matching black top and spoke tips. Canopy width: 105 cm / 41″. Length (top to tip): 95 cm / 37″. 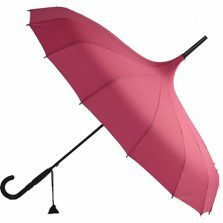 In a 2016 global survey it was found that the average amount of umbrellas owned by a person is actually 2.4. 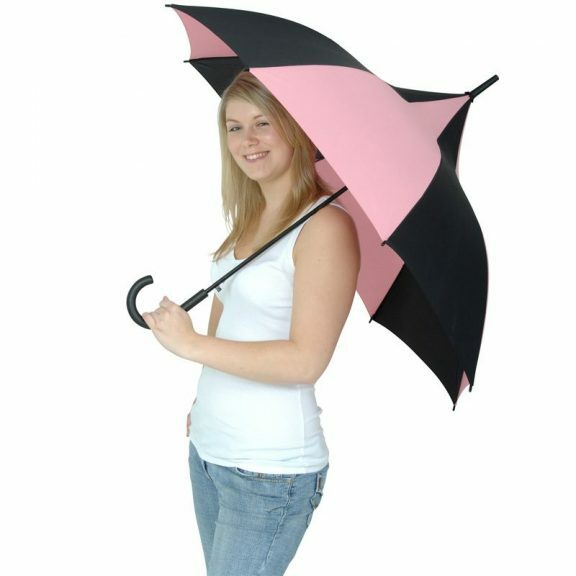 In the UK our average is 1.9 (nearly 2) but Japan leads the way with 3.3 umbrellas each! 3.3 umbrellas for every person in the country! 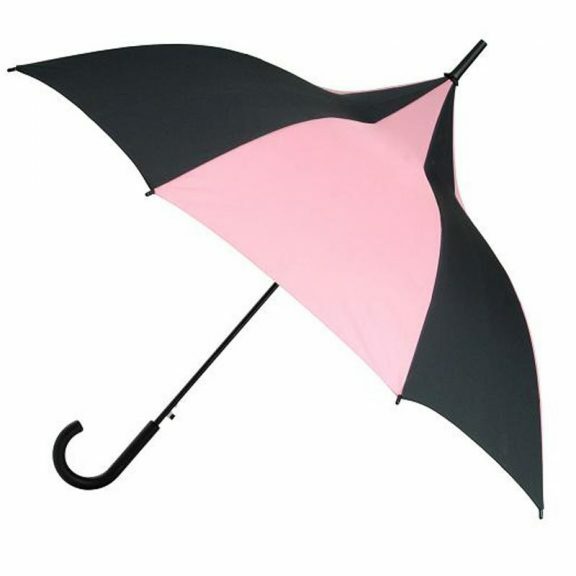 How many umbrellas do you have in your collection? 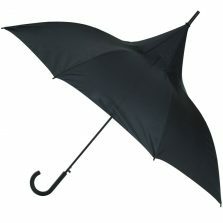 Maybe it’s also time you added another stylish and iconic brolly to your collection. I won’t tell you how many I have but then you wouldn’t expect anything less from an Umbrella Heaven angel would you? See some more of our beautiful pagoda umbrellas!